Since this is the best deals topic, would like to ask. In your experience in buying TVs what month does the best deals on TVs come out? Is it before, during or after Christmas? duno kung tama... but napansin ko best when tvs change models to the current year which is usually april to july. that is if you are willing to buy an older model though..
Usually worse deals Xmas kasi daming corporate purchases for raffles. Usually after Xmas na the better deals. Ako naman napansin ko, late third quarter to hanggang Christmas medyo madaming deals na ok. Problem mahirap lang stocks lalo na yung mga previous models. 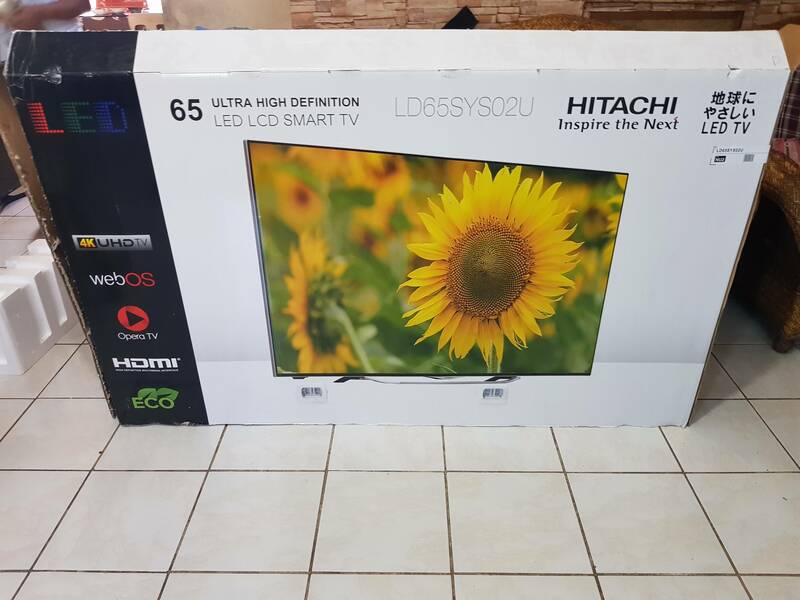 DO NOT buy that 65" Hitachi TV kahit 35k lng sya! So binili ko ung Hitachi LD65SYS02U khapon and nadeliver na sya ngaun. Man, cguro kaya online exclusive dhil alam nilang walang bibili kapag natest mo to sa store. Nag send nko ng email sa abenson asking for return and refund after 10 minutes of powering on the TV. Copy paste ko nlang ung reasons ko dun sa email dito. 1.) The picture quality is bad for a 4K resolution TV. I have a 4K video on my USB that plays well on my Samsung 4K TV. When I played the same movie on the Hitachi TV, the quality is bad and the video is lagging. 2.) No upscaling. One feature that almost all 4K TVs have is upscaling. 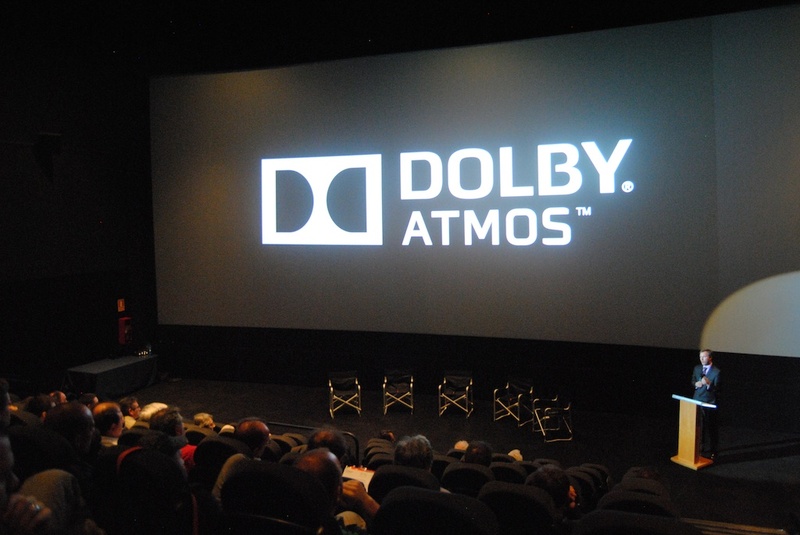 This is a built-in engine on TVs that give non-4K quality videos sharper, clearer and crisper quality to it. Akin to 4k. This TV has none. Again, this should have been mentioned on your website's tech specs as you are only selling this TV online but it is not. 3.) Smart TV operating system is NOT webOS. It says on the sticker on the TV that this is webOS but it is clearly not. This is false advertising. I attached a picture of the interface of the TV and if you look up the interface of the real webOS you will clearly see that this is not it. The latest webOS version is 04.71.00, on this TV though it says it is 6.0.1. How could that be possible? 4.) In line with the operating of this TV, whatever that is, the interface has obvious oversights as some functions are not working. The OK is not responding on some interface. I am trying to choose between the different sources but the OK button is not working on those specific interface so I am stuck with a small preview of that source(see attached). The OK button is also not working when I am trying to choose a different language on setup. This TV came with an Android media player din pala. Like what the other guy said, the media player is the least of my concern. Ndi ko na sya kinabit dahil I wouldn't bother for a TV na kelangan pa ng dedicated media player to get good quality picture. Knabit ko din Chromecast ko to play a movie from my PC ang kaso nga lang may sira ung interface netong Hitachi. Ndi ko mafullscreen kapag pipili ako ng ibang input source dhil ndi gumagana ung OK button sa remote pag pipili kna ng input source pero sa ibang part nman nung interface gumagana ung OK button. Naisip ko bka iba ung ppindutin pero no, the manual says ung OK button nga ung pipindutin. So bale sa USB movie ko ntest ung quality. Promise, aside dun sa 4k na video ko nag aartifact din ung 720p na picture and medyo may lag. Wala din syang soap opera effect ndi tulad nung sa Samsung 55" 4K ko na although 60Hz lng din eh kaya nilang iplay ung videos na prang may soap opera effect nga. Tnry ko din magplay sa builtin YouTube and sobrang wala nung quality compared dun sa Samsung ko. You might think na bka dhil 65" tong Hitachi kaya ndi gnun kaganda ung quality compared 55" pero ang suspect ko tlga is walang upscaling tong Hitachi. Pero pnaka turnoff dito tlga eh ung interface. 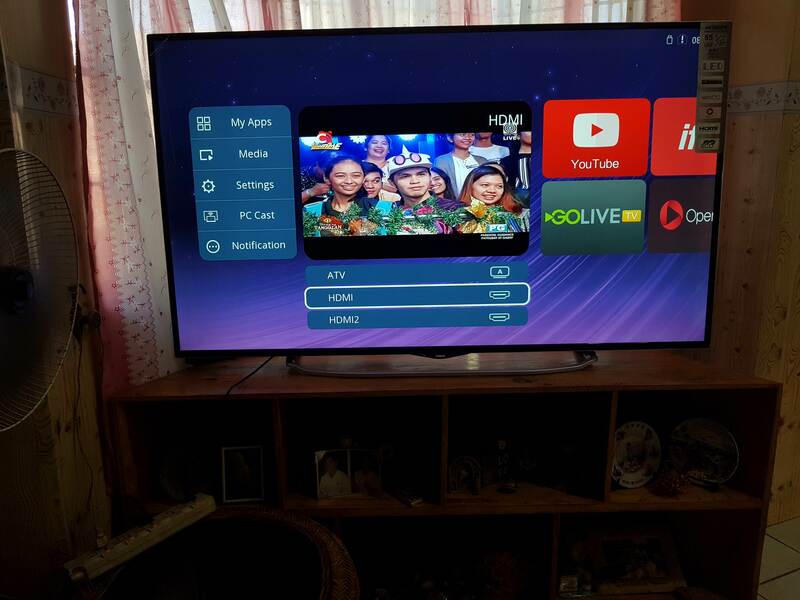 Sbi sa box tska dun sa mismong sticker sa TV webOS daw to. I thought sa LG lng ung webOS so inisip ko bka nilicense nila sa Hitachi so I went ahead and bought it nga. Eh aun, kita mo nman sa picture na ndi to webOS at kmukha nung mga outdated chinese interface. I don't know how Hitachi can claim they are using webOS pero mejo demanda levels tong paggamit nila ng name ng OS ng competitor nila when in fact ndi nman tlga un ang gamit nila. Nag aantay pko reply sa Abenson regarding dun sa return and refund. Tumawag nga muna pala ko sa hotline nila pero sbi nung agent na nkausap ko for returns and refund daw only through email lng sila nagpprocess. Any leads on a bang for the buck good 55 inch non-oled TV? I don't think na peke siya. ODM TV yan most likely. Design ng iba, nilagyan lang ng branding. Luckily I'm not tempted to buy one. TRue. A media player has its own GPU. If this works, bargain of the century this Tachee TV. agree. I rarely use the built-in media player of my TVs. for the price to size ratio, I think it's somehow a good deal, kahit na basic tv na lang siguro yan, without using the other features. use an android tv box na lang siguro. i guess the tv did not meet the expectation/s of the owner. Yeah. Built-in media player and TV OS, di ko talaga pinapansin yan. When I was buying my 4K TV, the salesman wanted to test the built-in media player, and gusto rin i-demo sakin yun GUI ng OS, sabi ko wag na saying oras hahaha! Iba iba ang hanap natin sa TV, I guess.